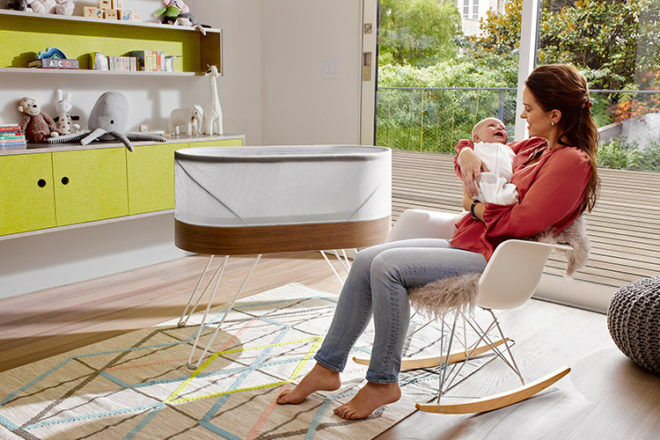 “Rock-a-bye baby in the bassinet, when the SNOO rocks, the baby won’t fret….” At least according to the makers of a self-rocking bassinet called SNOO. 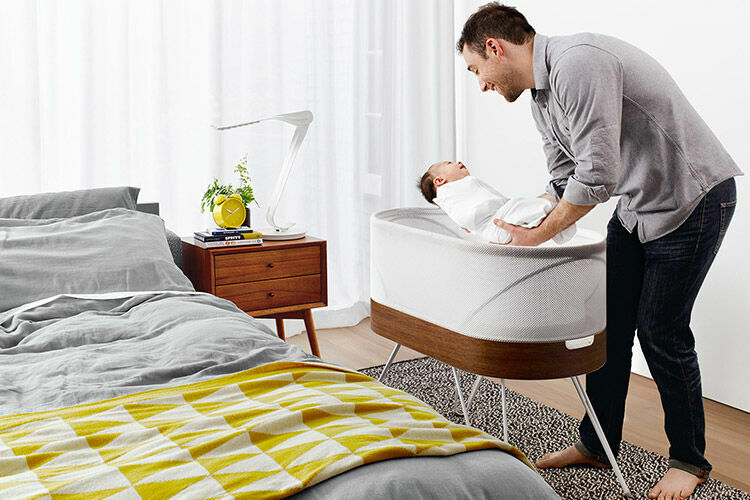 Designed for babies up to the age of six months, the SNOO uses microphones to tell when bub is crying or fidgeting. And while Mum and Dad stay tucked up in bed, the SNOO gets to work playing white noise and rocking bub back to sleep. In other words, parents wrap their baby in a SNOO swaddle, then delegate first line of response to the ‘robo-crib’. And although SNOO’s creators say it won’t soothe a baby with a dirty nappy or hungry tum, it will do this! 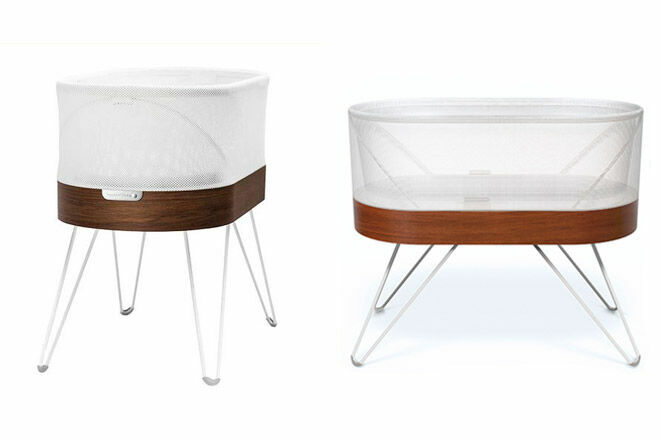 With a chic timber and white design, the SNOO looks clean and quiet in the nursery, however, the US$1,160 bassinet has drawn a loud response on the internet. With over 200,000 views on BuzzFeed News, plenty of parents and experts question whether the SNOO is a good thing. Is the SNOO a dream come true for tired parents (just like a motorised rocker)? Or a crazy contraption taking over the baby settling experience? SNOO is available from Happiest Baby (USD $1160) shipping to Australia from the US.